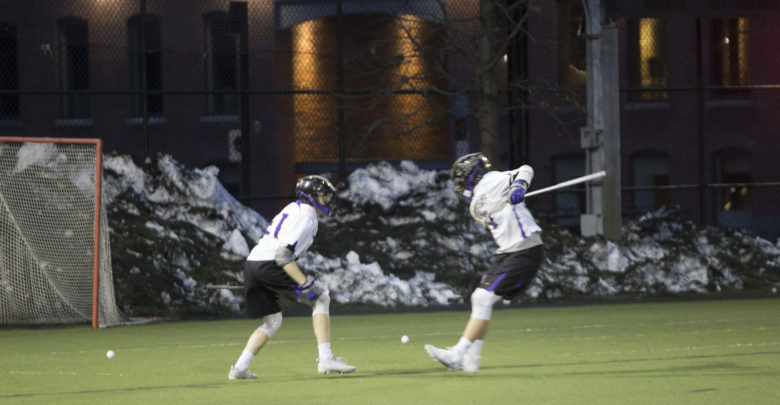 As he entered Rotch Field, freshman Stevie Powers felt a nervous sensation in his stomach. 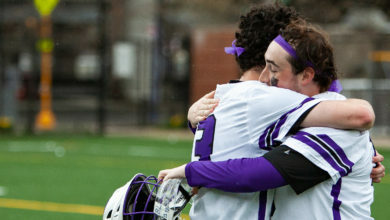 This feeling was familiar, he’d experienced it before every game since he made varsity lacrosse as a freshman in high school, and it followed him as he began his college career. As the game started, Powers felt his nerves wash away somewhere between running across the field and joining his teammates for an energetic huddle. Freshman Joe Meyers kept one goal in mind: the win. Meyers focused on this as he played, and before he knew it, he scored two goals in his first ever college game. In nine games this season, Meyers and Powers scored seven and 10 goals, respectively. Recruited early in their senior year, the two decided to live together. They saw it as an opportunity for an instant friendship. Meyers and Powers live in a three-person dorm room in 2 Boylston Place Residence Hall. “We’re pretty close now and have been since the day we both met each other online and it’s been pretty great ever since,” Meyers said. Head coach Matthew Colombini expected strong players, but found their skills had developed more than expected since their recruitment. “We were expecting a lot out of them, but they were both pleasant surprises with how far they’ve come,” Colombini said. Meyers, from Carmel, New York, came to Emerson for its business of creative enterprises major. Powers, an Arlington, Massachusetts native, found Emerson a good fit because of the creative aspect and small-school feel. 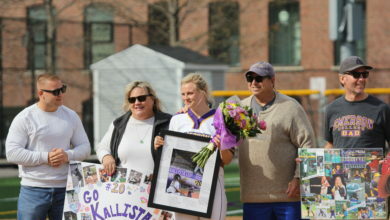 Both began their lacrosse careers in middle school, went on to play on their varsity high school teams all four years, and were captains as upperclassmen. “[Stevie] really helps our offense get going. Joe is more of an outside threat, a bigger stronger guy, so he kind of poses a different matchup that, especially when we get into NEWMAC play and it’s big strong defensemen. He’ll be able to get into guys and dodge and create a little bit more,” Colombini said. 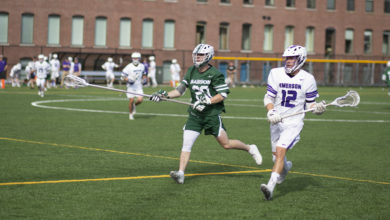 In the fall pre-season, the lacrosse team practiced 15 times over four weeks. Additionally, the two also attended a strength and conditioning program four to five days each week at the fitness center to lift weights and do cardio workouts to prepare for their season. “It was really really challenging, like nothing I’d ever experienced, and I think it got us where we needed to be right now,” Meyers said. Meyers scored twice in the team’s season opener against Mount Ida College, and in the next game Powers followed with two goals of his own against Lyndon State College. 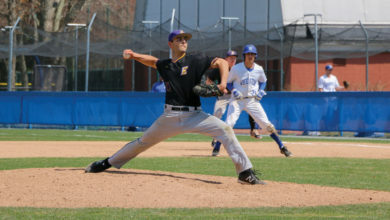 In Emerson’s April 4 game against State University of New York at Purchase, Meyers scored his first hattrick of his Lions carrer. “I was really happy that I was able to score the first game. I was pretty nervous going in, not gonna lie about that, but it was nice to get that monkey off my back and it feels great,” Meyers said. Powers and Meyers have also impressed their teammates with their play so far. After he graduates, Powers hopes to pursue his education further. “Although I am not positive what I will be doing after college, I have been thinking of applying to law school or trying to get my master’s in communications,” Powers said. Meyers plans to get a job related to his major. The Men’s lacrosse team will battle Clark University on Saturday, April 7 at 1 p.m.